A few days ago, my grandfather passed away. It was not unexpected because he had been sick for a few years, but it’s still hard. The main word I think of when I think of my grandfather is fun. He was just a really, really fun person. He had a bit of a wild streak and loved motorcycles and jet skis and boats and cars. He was generous and had a travel bug. He was proud of me and told me so. He liked that I owned my own business, and he liked that I was good with money. He’s one of the few people in my life who has actually told me that and respected that about me. You only live once. My grandpa really believed this. He liked to get on a jet ski and drive fast or hop on a plane and go see someplace new. Once, he bought a scooter (think like a Vespa style scooter) and he brought it over to our house to give us a ride on it. He was often collecting toys like this, fixing them up and letting us have fun on them. I remember this scooter distinctly because when it was my turn to ride on it, I was scared out of my mind. I really thought we were surely going to crash, but my grandpa just smiled and laughed as he drove me around on it. I really do believe that he had fun most of the days of his life. He worked for the telephone company in our town, and when he was in his 50’s, he negotiated an early retirement. He told me it was one of the best decisions he ever made. “Life isn’t about working, Catherine,” he told me. 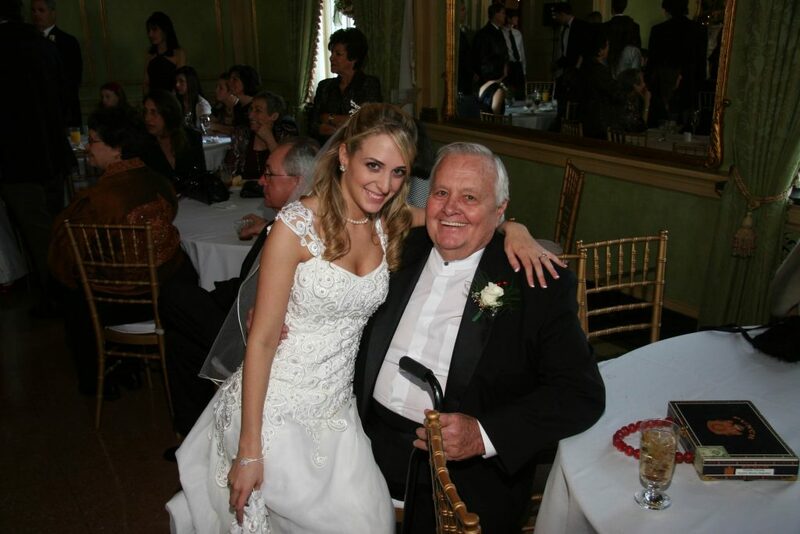 My grandfather loved to dance, and I loved any opportunity to dance with him. Growing up in south Louisiana, there were a lot of opportunities to do so at Mardi Gras balls and social events and weddings. He and my grandmother used to dance and dance and dance. They were married almost 70 years. Every time I hear a Frank Sinatra song, I think of him. “New York, New York” was his favorite, and he used to ask me to go and request it so we could dance to it. He’d sing it, belting it out, while we danced. He was just from an era where men knew how to dance, and he just loved it. I honestly think that not being able to dance was one of the hardest parts of getting older for him. When I was in college, my Uncle Walter died. This was my grandparents’ first born child, my mom’s oldest brother. 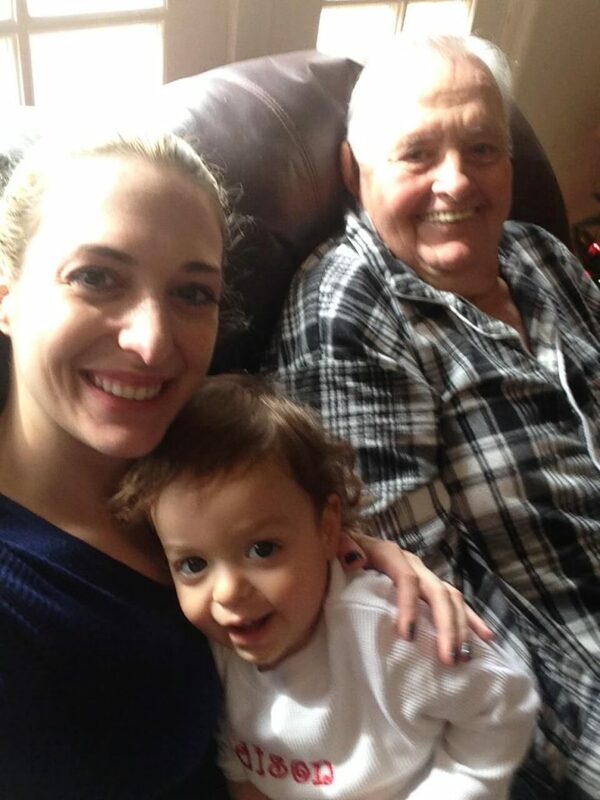 No parent should ever have to outlive their child, ever, and losing Uncle Walter was such a devastating blow for my grandparents and our family. My Uncle Walter was so much like my grandpa, really funny and like a huge teddy bear that was sensitive with us but somewhat big and scary to everyone else. Both my grandpa and my uncle loved to fish and boil crawfish and go out on the bayou. 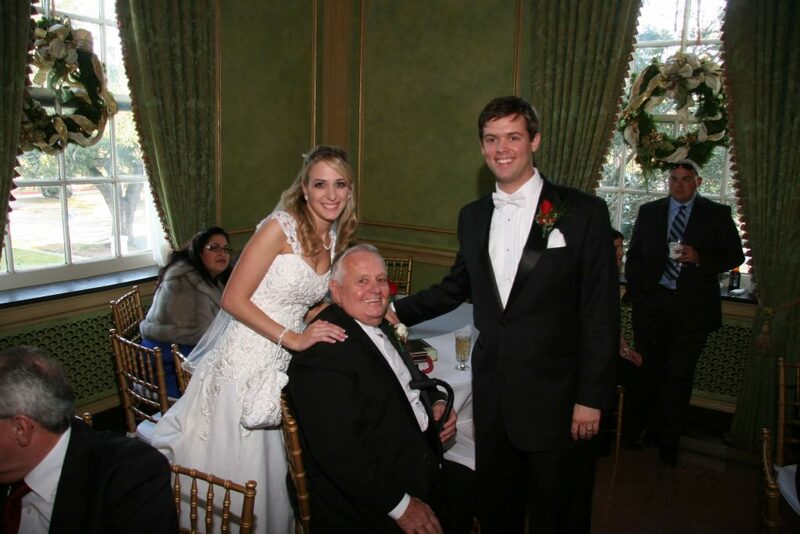 Losing my uncle was life altering, but my grandfather did continue to do the things he loved even after my uncle died. He still went out on his boat and enjoyed the water even if my Uncle Walter couldn’t do it with him. I’d like to think my grandpa and my uncle are reunited now after so many years apart having fun and enjoying whatever type of crawfish or shrimp po-boys heaven likes to serve up. Wow, if there is another word for stubborn, I’m pretty sure it’s “Paw Paw.” My grandpa was loving and affectionate with his grandkids, but he could be hard on us too. He was a tough negotiator and liked to get a good deal on things. He commanded a lot of respect from his kids and grandkids – no excuses! I think he softened up by the time he got to the great-grandchild phase, but he really didn’t like it when his kids or grandkids misbehaved or acted out. I love the finger pointing here. So Paw Paw. Much to my parents dismay, my siblings and I also picked up on the habit of yelling at the boats to slow down too. So, on any given day in the summer, you could hear my grandpa and us yelling at all the boats that passed by the house. Even though my grandpa could be tough, he was also incredibly generous. When we were kids we lived right “up the bayou” from him, meaning that instead of driving down the street to my grandparent’s house, we could take a boat and get to their house by water. In the summer, my brother, and sister, and I would wake up early and run down to our pier to try to catch a ride with him. He used to take my grandmother water skiing really early in the morning, so we had to be really motivated if we wanted a ride on the boat. We’d run down to the dock and get our life jackets on and wait on the edge of the pier yelling “Paw Paw! Paw Paw! Come get us!” when we’d see his boat coming down the bayou. As we got older and could drive all of his fun toys ourselves, he used to call us up, saying that he filled the jet skis up with gas and they were ready for us to take if we wanted to go and play. 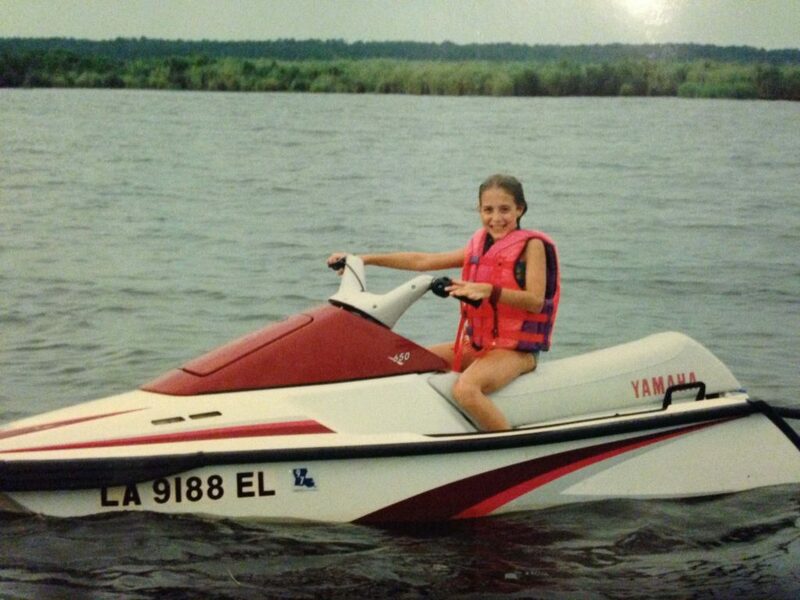 Me as a child riding Paw Paw’s jet ski. I have a lot of memories of him taking us out to Lake Pontchartrain as kids, anchoring his partybarge, and letting us just jump in and swim and have a good time. My childhood is full of memories of him like this. 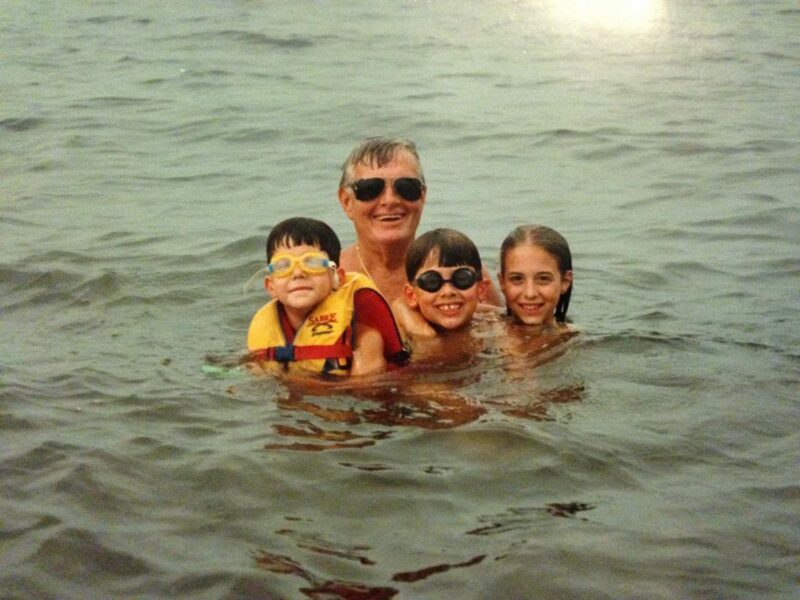 Paw Paw, my brother, my cousin, and me in swimming in the lake. When I moved outside of the country to Grenada, West Indies for a few years, I’d see my grandpa periodically when I came back home. I think he knew we were struggling a bit financially because my husband was in medical school. He was proud of me and the hubs too, and he wanted to help us. It was so needed at the time and I was so grateful. I just remember getting in my car and opening my hand to look at the bill he gave me and being really surprised that it was a $100. Having lunch with Paw Paw before he snuck me the $100 bill. But it wasn’t always $100 bills. Once at a St. Patricks Day parade, my whole family was gathered together to watch the parade. I was a child at the time, and I was sitting by him when a man came up selling green carnations for $1. My grandpa could tell I wanted one so he bought it for me, and the memory sticks because he bought it for me even though there were many other cousins and aunts around us. He just had a way of making you feel like he cared, like you were loved and important. 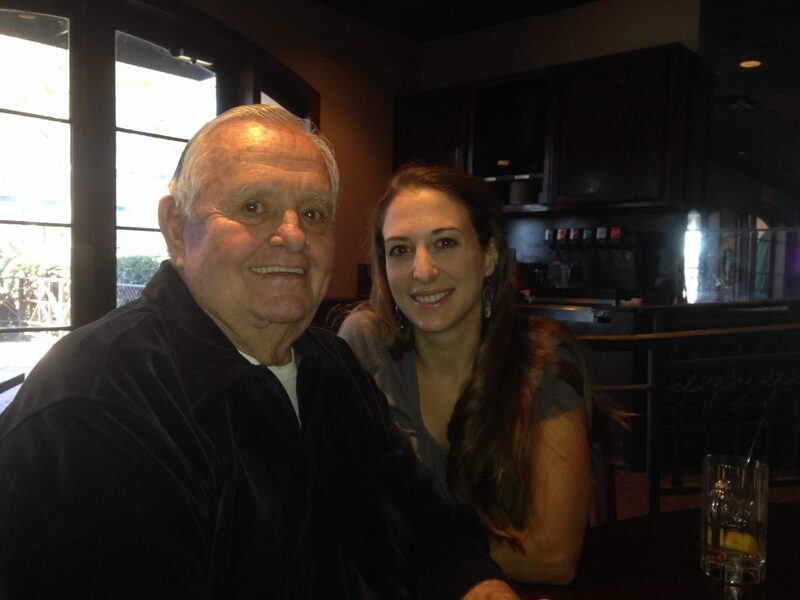 His generosity meant a lot to me, and I will always remember it. 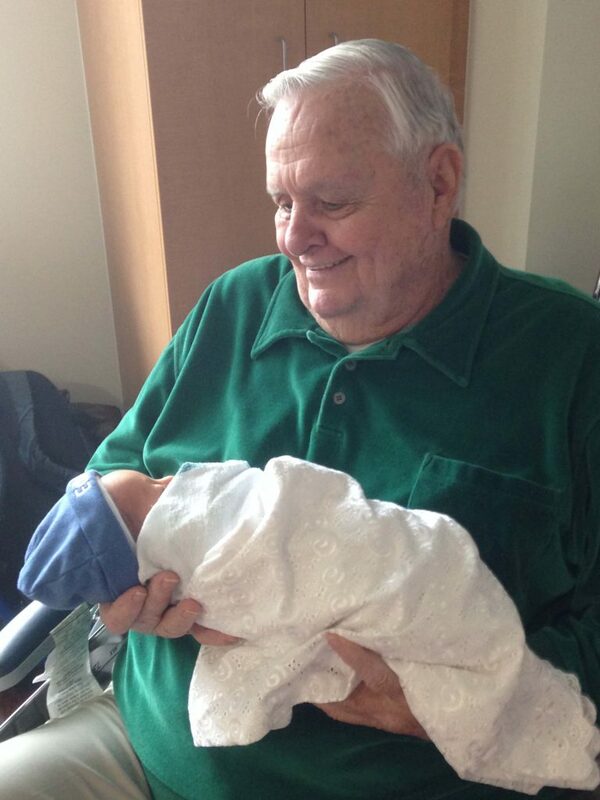 Paw Paw holding my son for the first time. In many ways, I think my grandfather’s death brought him a lot of peace. He was sick for a few years, and especially in the last couple of years, he wasn’t able to do the things he wanted. He retired early in life as I said, so he was used to being home and tinkering and living his life the way he wanted to. I know this bothered him a lot because he was such an active guy, always out and about doing things. To be sick and not able to change a lightbulb or dance or even get in the car easily to have a meal out was hard for him. You know, I miss him so much already, but I’m glad that he’s in a better place and feeling better. I’m grateful he got to meet both my children despite us living so far away from him. I’m glad he was at my wedding and at my bedside a few days after I gave birth to my twins. I’m grateful for my childhood that he was a part of. It was very vibrant and fun and exciting because of him. 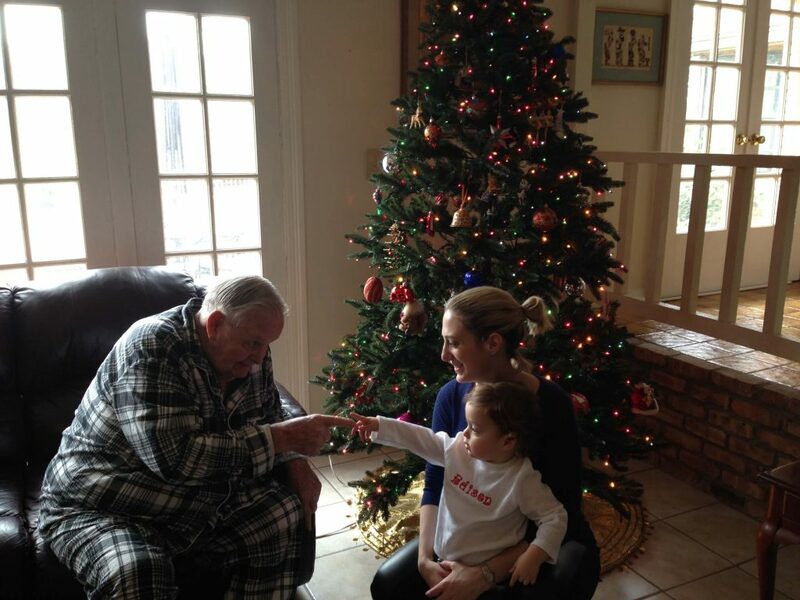 I’m glad that he had a generous spirit and loved his grandkids. 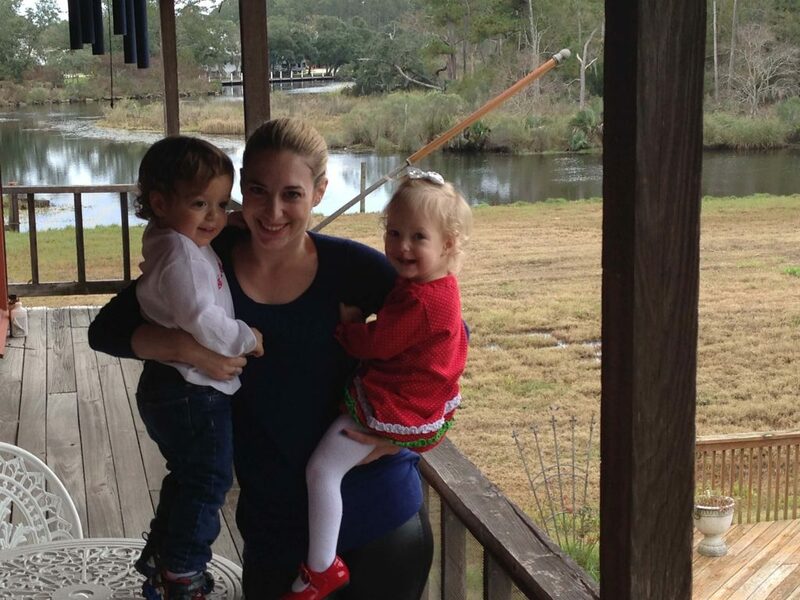 He could have kept all his fun “toys” to himself, but he was always up for taking us out and about, even when we did stupid things like drive his jet ski directly into his dock or spill a bunch of gas in the bayou on accident and waste it. He was loud and strict but warm and funny too. He was a man full of personality, not college educated but very worldly and interested in many different topics. He meant something special to me and he will be missed. I only hope I can see him again someday. Rest in peace, Paw Paw. I love you. Couldn’t be more beautiful Catherine. Thank you Aunt Shirley. I’m so sorry for your loss, Cat. I know it must be really hard on you. It sounds like your Paw Paw was an incredible man. Hugs to you! What a beautiful tribute, Cat! Thanks for sharing! I’m very sorry for your loss, dear Cat. 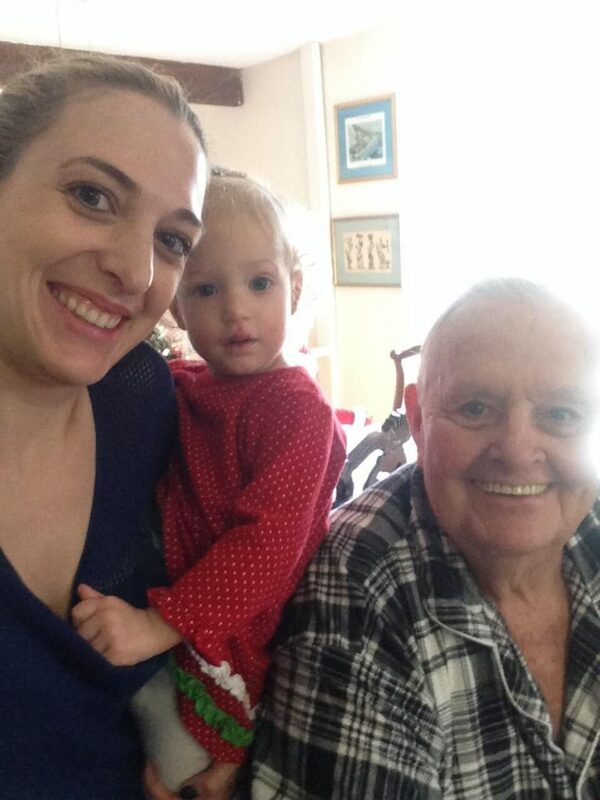 Thank you for compiling such a beautiful memorial of stories and pictures of your dear Grandpa. It was very touching. May He rest in peace. Aww this made me tear up, I feel like I got a good picture of his personality form this article. I’m so sorry for your loss, may you cherish your memories of him forever. I am very sorry for your loss, Cat! I am so sorry for your loss. I enjoyed reading your tribute to him. Your childhood is full of wonderful memories. Thanls for sharing that with us. sorry for the loss..your Grandpa must be a lovely and kind dad…well my wedding is almost there.. and I need your prayers… am Victor from Nigeria..
Oh geez you have me pretty choked up right now Cat. Seriously, you can tell how much you loved each other by this post and how important he was in your life. It’s tough to lose a grandparents. I’m so sorry for your loss, but it sounds like you have many great memories to cherish! Awww I am so sorry for your loss, he sounded like an incredible Paw Paw 🙂 Your family is in my prayers!! I’m so sorry for your loss, Cat. Thank you for sharing your Paw Paw with your readers. Best wishes to you as you heal from your loss. You are the living light of his memory, Cat. And you do a beautiful job of creating this eulogy to him. Daughter of the Bayou, you take him deeper into you now — and he will continue to be present to you throughout your life in subtle ways you are just beginning to be aware of. Thanks for sharing his life with us. What a beautiful testament to your grandfather. I am very sorry to hear of your loss. It was brave of you to share such warm memories with your readers! Wishing you peace and healing. Cat, this is a beautiful eulogy. You are the living light of his memory. So sorry for the loss of your grandpa!! What a lucky person you are to have had such a wonderful Grandparent. You have a lifetime of memories to guide you. Someday, you will be able to model the memories that your Grandfather created into new memories for you your Grandchildren. We are so sorry about your loss Cat! 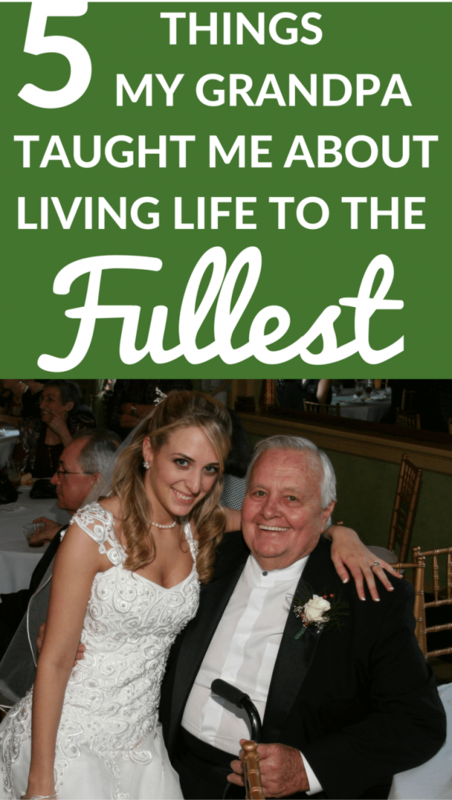 This was such a touching and wonderful article you wrote in memory of your grandpa! We are all thinking about you in your time of mourning. I envy you Cat! What a cool guy. Heck, I miss him. My grandad was a deadbeat like his son, and my other was long passed, (a disadvantage of being the baby of the family). Thanks for the profile of a great man. I bet it inspires upcoming grandpas to be the influence they can be! Aw thanks for the note Dave!